Law enforcement officials are cracking down on companies that they say stole millions of dollars from timeshare owners desperate to resell their properties. Law enforcement officials are cracking down on companies they say stole millions of dollars from timeshare owners desperate to resell their properties. In recent years, a network of law enforcement in the United States and abroad has shut down countless schemes that were hawking phony timeshare resale services, the Federal Trade Commission announced Thursday. Timeshares are jointly-owned vacation properties often located in tropical hotspots like Hawaii or Florida. 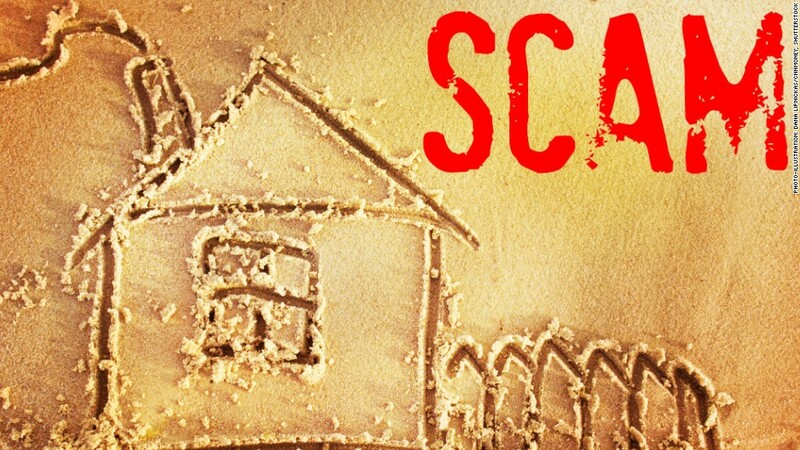 The scam typically works like this: timeshare resellers target timeshare owners who are desperate to sell with promises that they have eager buyers ready to pay top dollar for the property. Victims paid hundreds and even thousands of dollars in up-front fees to secure a quick sale, but the buyers never materialized. "Truly we have an epidemic of fraud in this area," Charles A. Harwood, acting director of the FTC's Bureau of Consumer Protection, said at a Miami press conference on Thursday. The timeshare scams became especially rampant in recent years as many consumers struggled to unload properties they'd purchased during better financial times. "These victims, many of them elderly or in financial distress, looked to sell their units to help make ends meet or pay other bills," Wifredo Ferrer, U.S. Attorney for the Southern District of Florida, said in a statement. In May, federal courts blocked the operations of three firms that the FTC claims tricked consumers out of more than $18 million. Meanwhile, 83 civil actions have been filed in 28 states, while more than 184 individuals are facing criminal prosecution in federal and local cases. The scammers targeted consumers through unsolicited email and mail as well as radio, television and online ads. Some of them operated out of telemarketing boiler rooms, using aggressive marketing tactics. Don't agree to anything over the phone or online. Check out the reseller with the Better Business Bureau or your state's attorney general office. Ask about fees and timing. It's always best to use a reseller who takes fees only after a timeshare is sold.